MJ Akbar, who resigned as Union minister on 17 October 2018, filed a private criminal defamation complaint against Priya Ramani after his name cropped up on social media as the #MeToo campaign raged on..
Days after the BJP picked Tejasvi Surya, a young lawyer who has been working closely with the Rashtriya Swayamsevak Sangh and the Akhil Bharatiya Vidyarthi Parishad (ABVP), as its candidate for..
▶ Videos for "Mj Akbar"
Google created a #MeToo global tracking tool that shows where the movement is trending. 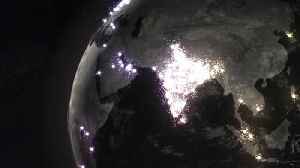 Recently, it’s shown that India has the most #MeToo activity. New Delhi, Oct 18 (ANI): Union Minister for Human resource development Prakash Javadekar said that everywhere in society women should be treated as equals and not only in workplace. 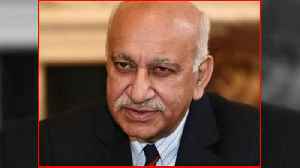 Commenting on MJ..
New Delhi (CNN)A series of allegations of sexual harassment and assault has prompted the resignation of an Indian government minister, the most prominent public figure named in the country's own #MeToo..
MJ Akbar on Wednesday, resigned from his post of Minister of State External Affairs. This came after multiple women journalists came out in support of their colleague Priya Ramani, who has accused the..
MJ Akbar Resigns from PM Modi Cabinet. Priya Ramani, journalist under the #MeToo Campaign, accused MJ Akbar, whom MJ Akbar resigned as Minister of State for External Affairs. Tell you that Akbar has..
MJ Akbar versus Priya Ramani: 20 women journalists speak up to be counted. 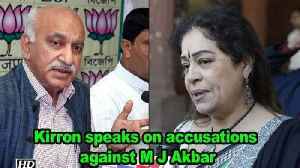 According to the #MeToo campaign, Priya Ramani, the journalist, accused MJ Akbar of whom Akbar filed a defamation suit against..
Actress Kirron Kher, who is also a BJP MP from Chandigarh reacted on accusation of sexual assault that has been leveled against Union Minister M.J.Akbar. 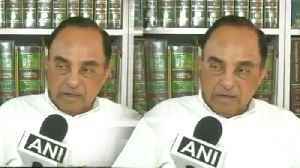 Akbar on Monday filed a criminal defamation..
New Delhi, Oct 16 (ANI): Bharatiya Janata Party (BJP) leader Subramanian Swamy on Tuesday responded to Congress leader Shashi Tharoor's controversial comment on Ram Temple. 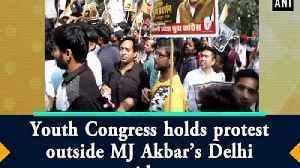 Swamy said, "He is..
New Delhi, Oct 15 (ANI): Members of Youth Congress held protest outside MJ Akbar’s residence in New Delhi on Monday. 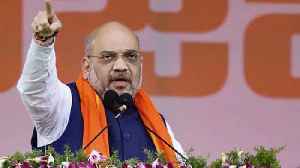 The protest was over the demand of resignation from the post of Minister of..
#MeToo Campaign, Amit Shah breaks his silence on MJ Akbar's allegation. Actually, BJP Leader and senior Journalist MJ Akbar faces allegation on Harassment. Watch the video and know the whole story. 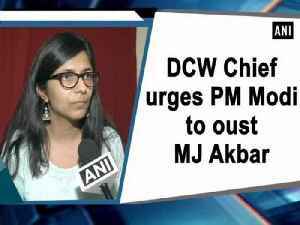 New Delhi, Oct 12 (ANI): The chairman of the Delhi Commission for Women (DCW) Swati Maliwal on Friday penned a letter to Prime Minister Narendra Modi urging him to oust Minister of State (MoS) External..
Union Cabinet Minister of Textiles Smriti Irani extends her support to ongoing #MeToo movement and said “Women don’t go to work to be harassed. 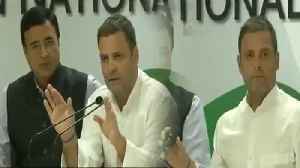 They go to work to live their dreams and..
VIDEO: Congress President Rahul Gandhi says MeToo is a very big issue. 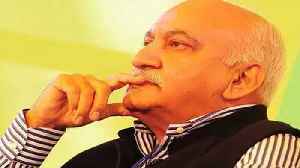 I will comment on it, reacts on MeToo MJ Akbar. 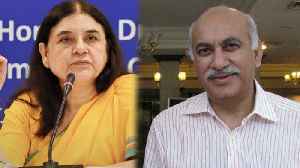 It is assumed that MJ Akbar, MoS for Foreign Affairs, was asked to cancel his visit to Nigeria after more women made sexual harassment by the minister during his time as an editor in various media..
Maneka Gandhi, Union Minister for Women and Child Development, on Tuesday called for an enquiry against Minister of State (MoS) External Affairs MJ Akbar following the allegations by three female.. 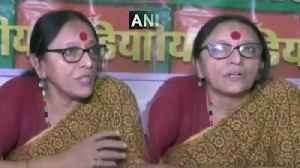 While the BJP stepped up its 'Main bhi chowkidar' campaign on Sunday with Prime Minister Narendra Modi and other prominent party leaders prefixing the word 'chowkidar' to their names on Twitter, the.. Journalist Priya Ramani is expected to appear in a Delhi court on Monday morning in connection with a defamation case filed by former Union minister MJ Akbar over allegations of sexual harassment.. Journalist Priya Ramani on Monday got bail in the criminal defamation case filed against her by former Union minister MJ Akbar. He had sued her for defamation after several women, including Ramani,.. Journalist Priya Ramani was granted bail by a Delhi court on Monday after she summoned as an accused in the criminal defamation complaint filed by former Union minister MJ Akbar. The court granted bail..
Ramani accused Akbar of sexual misconduct, during his time as media presenter, around 20 years ago. A Delhi court on Tuesday issued summons to Priya Ramani as an accused in the defamation case filed by former junior external affairs minister MJ Akbar against her. 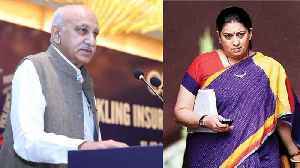 MJ Akbar, who resigned as Union minister on 17 October, 2018, filed a private criminal defamation complaint against Ramani after his name cropped up on social media as the #MeToo campaign raged on in..
Day's top stories: Rahul promises minimum income guarantee for poor if Congress returns to power at Centre; Shiv Sena hints alliance with BJP for 2019 elections possible; Delhi court to decide on Priya.. The first day of Bharatiya Pravasi Divas, which is being held in Varanasi, witnessed flutters on Monday after booklets featuring former Union minister M J Akbar, who was forced to step down amid.. The NDA regime has been guided by the assessment that asking or getting MJ Akbar to quit would undermine its image of a robust and decisive government. Priya Ramani was the first to call out MJ Akbar publicly amid India's #MeToo movement, after which several women spoke up about their sexual harassment experiences with him. Akbar's two former colleagues, Sunil Gujral and Veenu Sandal deposed as witnesses before Additional Chief Metropolitan Magistrate Samar Vishal and said the allegations came as a shock to them and..
As the MeToo fire rages on, charring reputations as more women narrate their experiences of unsolicited sexual behaviour with Union minister MJ Akbar and actor Alok Nath among those named for their..
Mrinal Pande and Mythili Bhusnurmath expressed their intention to quit the Editors Guild of India as MJ Akbar, Gautam Adhikari and Tarun Tejpal - three men accused of sexual harassment and assault -..